Get $500 Off During Our "Tested 1275 A+ Power Unit Deal"
Purchase a Pre-Owned and Tested 1275 A+ Engine /Transmission Power Unit and GET $500 BACK when you send us your old one! 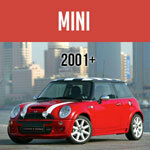 Our Mini Mania Power Units include everything from cylinder head to clutch and transmission. These Tested Engines are taken out of Minis in the UK then fully tested and fixed right here in our Mini Mania Engine Shop. Once they pass our high standards of perfection, they are READY TO BE SIMPLY BOLTED INTO YOUR MINI! 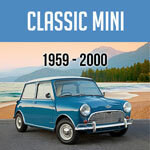 If you want fast and easy driving then these Classic Mini A+ engine and transmission assemblies are the ideal answer. And they’re only $2,495! Plus, when you send us your old, used Engine /Transmission Power Units *, will give you $500 back. You can’t go wrong with the price, quality and ease of installation for these ready to go power units. Give us a call at 1-800-946-2642 and let’s make a deal. * Your engine must include a rod change transmission.